Looked like this exactly one year past. 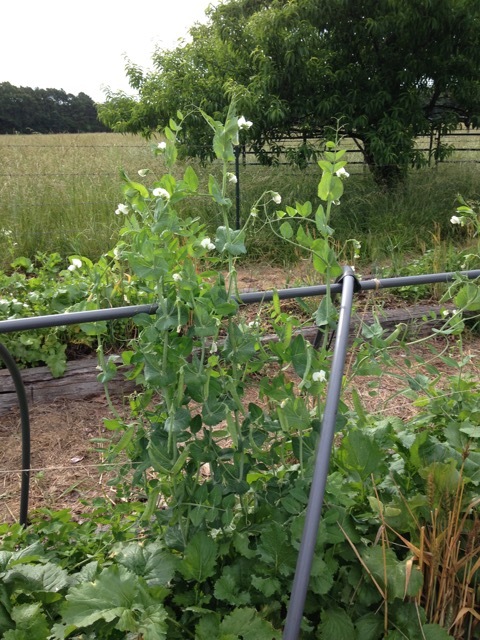 365 days later, sugar snap peas are busting over the top of the 30" hoops with plenty of peas and new flowers/growth. Turnip tops are averaging 18-24", life is good! 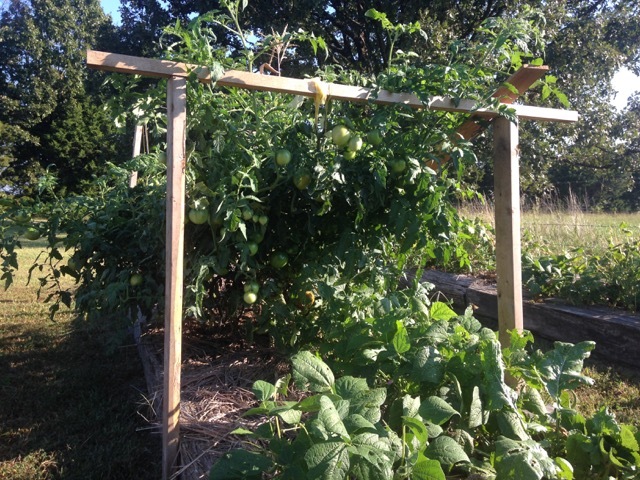 Besides several meals of sweet corn, about all the fresh green beans we could eat right up until first frost, plenty of storage sweet potatoes and squash, there was good tomato production and fair okra despite starting the okra late. Wheat was used for a ground cover through the winter. Harvested more seed than was originally planted this weekend just from the wheat that was left to grow on the edges. 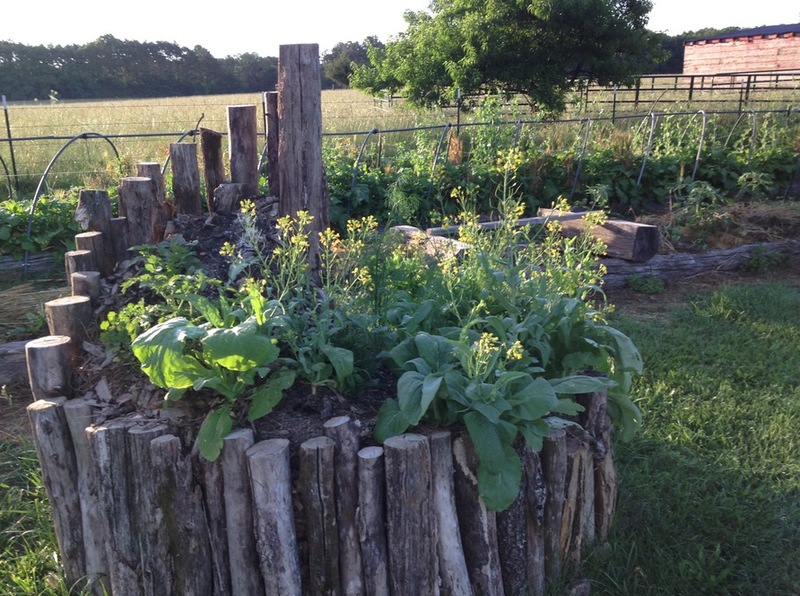 Kale, turnip, radish, and tendergreen seeds are also plentiful for re-planting. 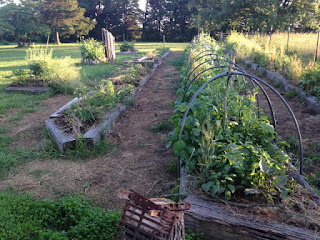 Picked the first green beans and zucchini this weekend. 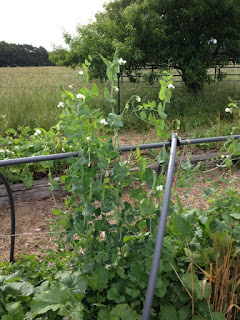 Have been eating peas, radishes, and greens since about the first of may. Put in some strawberries last fall and they are delicious but sending them mostly to runners for next years crop. The new hugelkulture spiral herb garden is doing well. Dill is growing like a weed, hyssop, marigolds, cilantro, rosemary, thyme, sage, yarrow and mojito mint are doing well. Basil is a little spotty. Genovese basil doing well, thai basil seems stunted and already going to blooms. 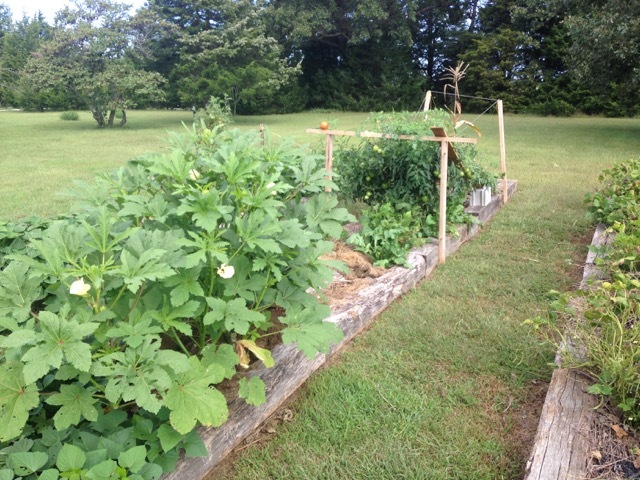 The tendergreens look like they have taken over, less than sixty days after planting are blooming profusely. They provide soil shading so very happy to have them. To be clear, no NPK fertilizers, no pesticides or herbicides are being used. I think any of them would destroy the amazing productivity. Plenty of biochar, cal-phos, and just introduced last fall - pea gravel are topped with a couple inches of fresh compost. Biggest disappointment so far this year is lack of honey bees. May have to get a hive of my own. Barring any major unforeseen events, should be eating well all summer, good enough through the winter, and even better next year as the cherry tree and strawberries begin to hit their stride. Everyone should do this! 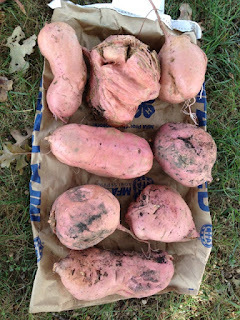 With seed saving, it is a perpetual, nutrient-dense food supply with the "level of effort" quite enjoyable and the results quite tasty.